Red Youth salutes the revolutionary women of the world! Our young cadre will be publishing short pieces all this week to celebrate our revolutionary heroines in the run up to International Women’s Day. 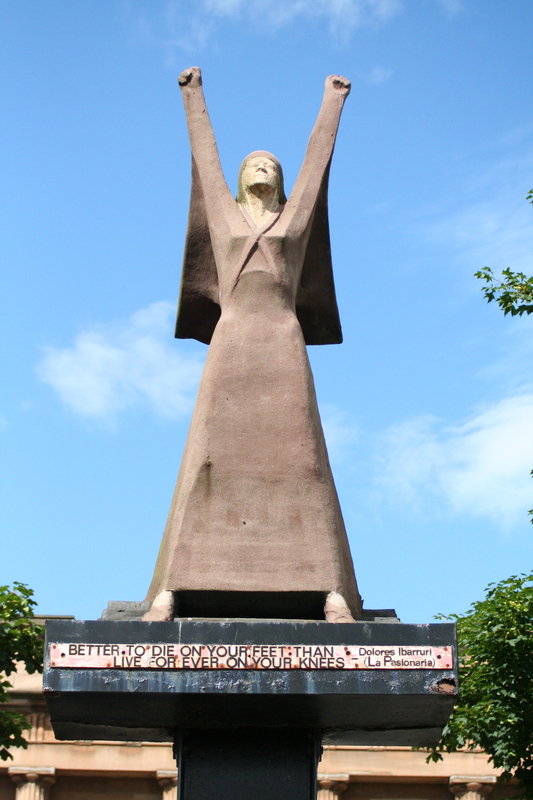 Today, Austin, aged 15 from Leeds, discusses Dolores Ibárruri. 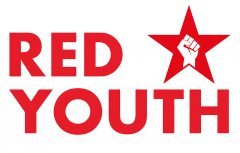 Red Youth will be meeting to celebrate International Women’s Day on 9 March, at 1.00pm, at the CPGB-ML party centre 274 Moseley Road, Highgate, Birmingham. 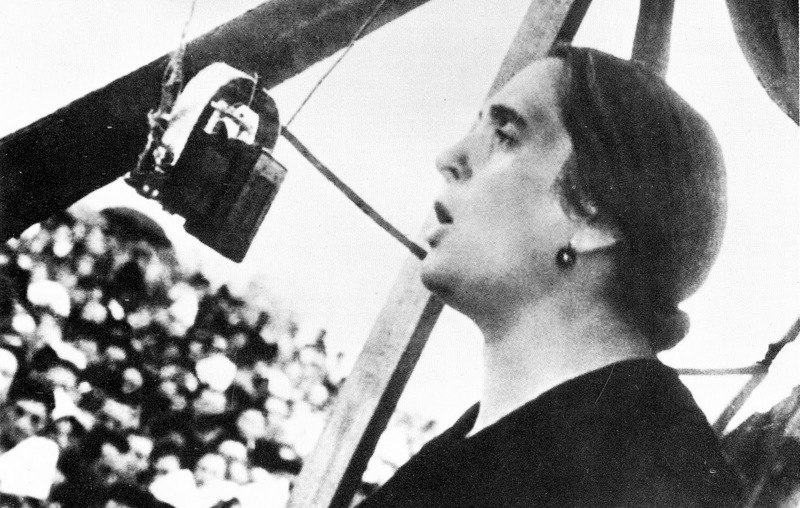 Dolores Ibárruri was an inspirational leader, a revolutionary fighter and an influential speaker who was heavily involved in the resistance movement against the fascist rebellion by General Franco that sparked the Spanish Civil War. Dolores was born in Gallarta, Spain on 9 December 1895 into a family of miners. She experienced horrendous poverty as a child and her dream of becoming a teacher was never realised, owing to her parents’ inability to finance her education. Instead, she became a seamstress and then a housemaid. Her husband, an active trade unionist and revolutionary socialist, was imprisoned for his part in the general strike of 1917, and, as a consequence, her financial situation deteriorated. She spent her nights reading Karl Marx and other books she found in the library of the local workers’ centre, and his works influenced her to become a communist. 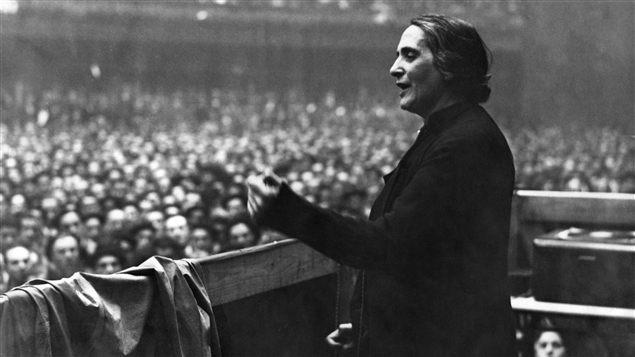 In 1920, Dolores was elected onto the provincial committee of the newly-founded Basque Communist Party and, ten years later, she was promoted to the Central Committee of the Communist Party of Spain (PCE). During these years, Dolores had six children. Of her five daughters, four died very young. Her only son died at the battle of Stalingrad, leaving just one daughter to survive into adulthood and old age. Comrade Ibárruri was a regular writer for the party’s newspaper, Mundo Obrero, signing off her works with the pseudonym La Pasionaria (Passionflower) – a name she coined when she wrote her first article against religious hypocrisy for a miners’ newspaper in 1918. She used her journalism as a platform to campaign against the unfair treatment of women in the country and to improve their lot through socialist revolution. In 1931, she was appointed the paper’s editor and moved to Madrid. That year also saw the beginning of the second republic in Spain. King Alfonso III left the country when a majority of seats at the election were won by anti-monarchist candidates. During the first five years of the republic, communists continued to be persecuted, however, particularly after the fascistic, semi-feudal coalition of right-wing forces that made up CEDA won the 1933 election. Dolores was jailed four times in this period. He replied, ‘I have not received any orders,’ and I answered, ‘I am a member of the republic’s parliament, and I demand that you hand over the keys immediately to set the prisoners free.’ He handed them over and I assure you that it was the most thrilling day of my activist life, opening the cells and shouting, ‘Comrades, everyone get out!’ Truly thrilling. However, in the face of the newly-forged alliance between social democrats, republicans and communists, the fascists struck back, backed up by military aid from Hitler’s Germany and Mussolini’s Italy. They launched a full-scale rebellion under the leadership of General Franco against the newly-elected progressive government. Imperialism, which was seriously threatened by the developments in republican Spain, sought to strangle the country’s progressive forces by sending aid to the fascists while preventing aid getting through to the government. In this way, it hoped to hold back the rising tide of working-class militancy and communism. At a time when fascism – the most nakedly brutal form of monopoly capitalism, in which all pretence of democracy was being discarded in favour of an iron dictatorship aimed at keeping down the workers’ anger at a time of deep capitalist crisis – was on the rise and spreading throughout Europe, the western media was publishing propaganda against, no, not Germany, Italy or Spain, but against the Soviet Union. The ‘collectivisation famine’ lie was published in 1935 by the Hearst press at a time when socialism was proving itself to be the only sane solution to the worsening capitalist crisis and the rise of fascism. Instead of hailing the achievements of the industrialisation and collectivisation programmes in the USSR under Stalin’s leadership, the ‘democratic’ capitalists chose to demonise socialism and to support the rise of fascism. The British, French and US imperialists, while claiming to uphold democracy, refused to help the Spanish government against Franco. They drew up a ‘non-intervention’ agreement that pretended to be neutral, but was in reality aimed at cutting off supplies to the republic. This did not help Dolores and the revolutionaries in Spain who were defending their nation against the fascists. However, with a little help from its friends – namely, the Soviet Union and Mexico – the People’s Army (the resistance movement formed by the anti-fascists in Spain) was supported by the formation of the International Brigades. The call went out from the Comintern (the Communist International) to revolutionaries in Europe, the Americas and all over the world that volunteers were needed to fight with their brothers and sisters in Spain against fascism. Meanwhile, Comrade Ibárruri was very active on the committee that transferred funds from the Comintern to the republican army. As well as giving every possible support to the formation of the brigades, the Soviet Union helped directly by sending food, medicine, equipment and advisors to the resistance forces, even as it was also busy preparing itself for the biggest and most catastrophic war the world had ever seen. The Soviet Union’s leaders understood that the war in Spain and the rise of fascism were both symptoms of the deepening capitalist crisis, and that the crisis was bound to lead to a bigger conflict if not stopped by revolution. Throughout the civil war, Dolores was extremely active, and she coined many of the republicans’ most famous slogans. As chief propagandist for the republican forces, she ended a radio speech in 1936 with the famous words, “The fascists shall not pass! No pasaran!” This passionate slogan became the battle cry for the republican army, who defended the city for three long years. The Spanish people would rather die on its feet than live on its knees! However, the republican army was threatened from within by the formation of POUM (Worker’s Party of Marxist Unification), a coalition of Trotskyite and anarchistic parties. The POUM objected vigorously to the influence of the Soviet Union within the republican army, and did much to undermine the discipline of the republican forces. POUM was dubbed the fascist “fifth column” after Emilio Mola, a fascist general, stated in an interview in 1936 that he had four columns of soldiers heading towards Madrid and a fifth one (the POUM) behind enemy lines. The POUM’s endless demands for ultra-revolutionary sounding measures such as self-governming workers’ co-ops in the cities and immediate collectivisation in the countryside were not only a diversion from the urgent struggle against fascism but an outright service to fascism. Trotskyism in the Service of Franco, written by George Soria and based on first-hand observation and on the study and analysis of official documents and papers, explains how this came about. Today many are departing … You can go proud. You are history. You are legend. You are the heroic example of democracy’s solidarity and universality in the face of the vile and accommodating spirit of those who interpret democratic principles with their eyes on hoards of wealth or corporate shares which they want to safeguard from all risk. At the end of the war, Dolores fled to the Soviet Union, where she lived a happy life, despite the difficulties and tragedies of the war. Her son fought for the Red Army but sadly died at the Battle of Stalingrad in 1942. Delores remained active within the PCE and became the party’s secretary general in May 1944. She lived in Moscow for many years, receiving the Lenin Peace Prize in 1964 and the Order of Lenin Prize in 1965. When General Franco died, Dolores moved back to Spain and in 1977 she was once more elected as a deputy to the Cortes (Spanish parliament). 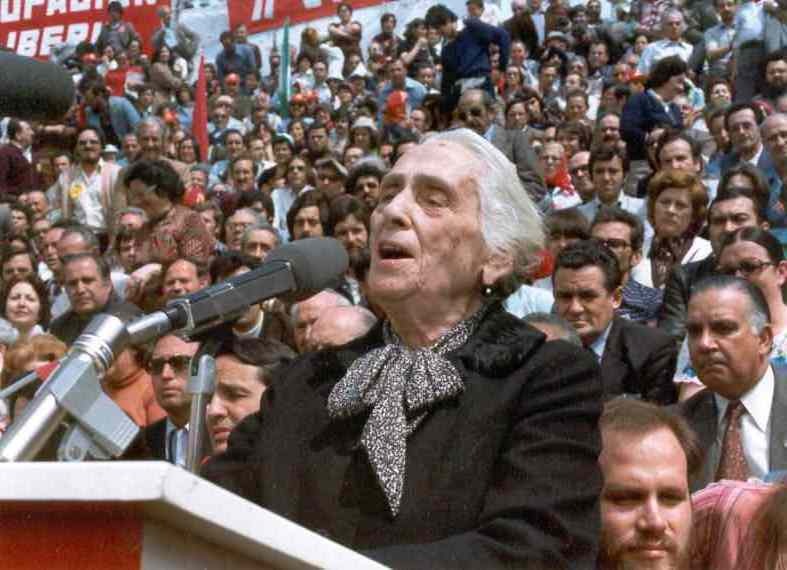 On 12 November 1989, at the age of 93, Dolores Ibárruri died of pneumonia. Although only one of her daughters survived her, her legacy lives on in countless generations of the men and women workers all over the world that she inspired with her bravery, her steadfastness and her indomitable spirit. La Pasionaria is remembered as a woman who never capitulated to fascism; who fought for rights for women and who tied those rights to the need for socialism. She was a revolutionary fighter, an activist, a writer and a speaker. Her inspiration is a shining star whose light guides us in our struggle against imperialism and reaction, and for liberation and socialism.